China has a long history of scholarship in art, especially on the art of painting (one of the most popular forms of art in the history of Chinese art). Evidence of this goes all the way back to the fourth century (citations of scholarship on art can be found even earlier than the fourth century). Many of these writings and texts were not well preserved so few of the actual texts are left today. However, throughout history, many of these writings and texts have been quoted by ancient Chinese scholars, historians, and authors. 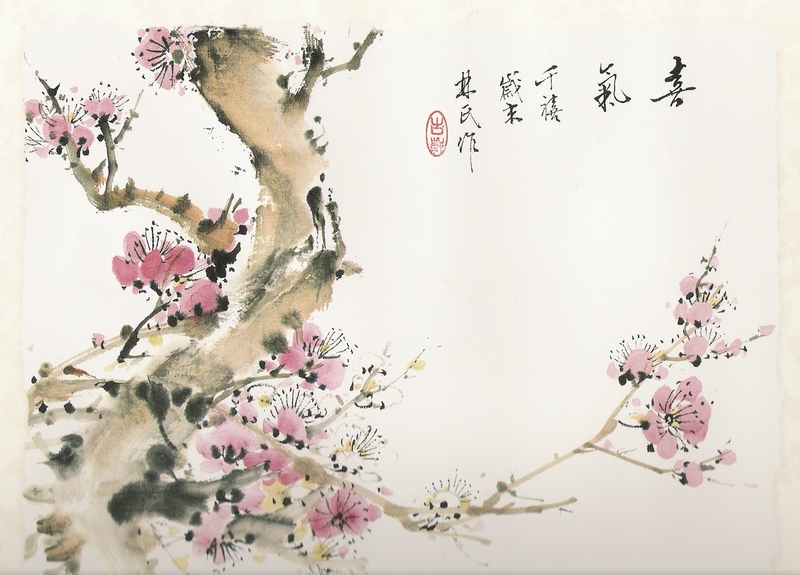 One of the most famous writings on art is by Xie He which was written during the sixth century. The following are his six “canons” or “laws” on art, translated by James Cahill, a well-known art history professor at the University of California in Berkeley (his focus is on Chinese and Japanese art). 1. Engender a sense of movement through spirit consonance. 2. Use the brush with the bone method. 3. Responding to things, depict their form. 4. According to kind, describe appearances [with color]. 5. Dividing and planning, positioning and arranging. 6. Transmitting and conveying earlier models through copying and transcribing. Slightly different translations of Xie He’s Six Canons have been proposed by different scholars. Xie He’s Six Canons are also difficult to understand because in his original writing, he expressed each of the six canons in only four Chinese characters. Although his argument is succinct, I agree with Xie He’s argument about what a painter ought to do. I think that his argument is well laid out since it does cover a broad range of how the painter ought to paint. To me, the easiest canons to understand are canons three, four, and five. They address the painter’s concern about accuracy in paintings, a popular concern among artists throughout the history of art. Xie He, however, separated form and color into two different canons (canons three and four). This is because Chinese painters often painted using an outline and color technique. They would outline in brushed ink the form of the elements in their painting. Then, they would add color to it. To give the viewer an impression of volume, the painter would shade along the edges of the outline. Xie He’s argument is also well laid out because of the order of his canons. The order of his canons indicate the primary, secondary, and tertiary concerns of Chinese painters. Based on his Six Canons, Xie He believes that the artist’s primary objective is to capture the vital spirit of the subjects in their paintings as well as to demonstrate their own sensitivity to that spirit. The second concern in the Six Canons is the artist’s brush work. The artist much handle the brush with expertise and carefully choose the placement of their ink strokes. The third concern mentioned in the sixth canon is about a standard Chinese practice among painters: copying. Like artists from many other different cultures, Chinese painters would often copy the works of their masters to learn and further develop their painting skills, as well as to form their own ideas on painting. Through his Six Canons, I think Xie he lays out a pretty strong argument on the art of painting. Thus, I think that Xie He makes a very valid and effective argument using his succinct Six Canons.